Recently, Rav Eliezer Berland, shlita, has given a number of lessons discussing what will occur in the time when Moshiach is revealed. Below, we’re bringing the first part of one of his most powerful shiurim on the subject to date, that was given over on Motzash, Saturday night, November 24th, 2018, where the Rav describes more of the spiritual tests ahead, and also discusses the disturbing concept of Moshiach dying. Usually, we try to bring concise excerpts of the Rav’s shiurim, to make them more accessible to the English-speaking public. But this time, we are translating the full lesson, as it contains a lot of very significant information about the tests still ahead, and what will occur when Moshiach is actually revealed. 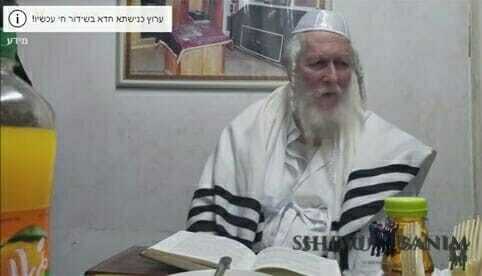 The connection between Moshiach ben Yosef and Moshiach ben David is now, 17th Kislev…Because they have now reached every level. They know the whole of Shas and mishnayot by heart…. The Rebbe revealed that he is the Saba De Sabin (lit: ‘The Grandfather of Grandfathers’, or Elder of Elders), that he would rectify everything. The blind beggar – the essence of the purpose of a human being is to be blind. A person comes to the world only to be blind, this is his whole purpose. Guard your eyes and live a long life! It’s like Mattiah Ben Heresh. He took white-hot skewers and put them into his eyes…A person needs to buy white-hot skewers, and every time that he wants to open his eyes, he needs to stick a white-hot skewer in his eye. And this way, he will merit to live to a ripe old age – up to 1,000 years old! If a person doesn’t open his eyes, he can live until 1,000, like Serach bat Asher, who’s already 3,000 years old. In her life, she never opened her eyes. The work of a person is not to open their eyes, this is their spiritual work, from the day they are born. Don’t open your eyes! A person should be blind. Renew yourself like a young eagle, because the eagle was really the oldest one – he’s already 5779 years old. When it was 777, this was the most important number. This is or (light), mayim (water), rekia (the firmament), plus another 100 brachot, a 100 ‘amens’, which also equals 777. The Rebbe said that the more beautiful a woman is, the more stupid she is. The brain is dissolved by beauty, the intellect is dissolved by her beauty, and then she is left ‘stupid’. The Rambam says a stupid person has a beautiful wife, and the Rebbe brings this in Shivchay HaRan (Rebbe Nachman’s Praises), because all of his intelligence is dissolved by her beauty. Because Shmuel was a reincarnation of King Shaul, who was the most handsome in the world, so he wasn’t able to nullify himself to the Prophet Shmuel. A handsome / beautiful person is unable to nullify themselves to the Tzaddik. Sheker ha chain v’hevel ha yofi. So now, he came back as Shmuel [from the Gemara]. He was fat, short, and his teeth stuck out. He was blind. The Rebbe explains in lesson 272 that the whole spiritual work of a person is to be blind…And not to see anything, and to be blind. his whole purpose. [I.e.] to rectify the sin of the Tree of Knowledge, because the lust was in the eyes. Therefore, the more a person is blind, the more he merits that the light of Hashem shines on him. Therefore, a person needs to be blind, and to be born blind, and to ask Hashem to let him be born blind. It’s still possible to ask Hashem to make you blind at that stage, before he’s become anything. So, if a person is blind, he hasn’t even started to live at all. I haven’t yet begun to live. Because when a person comes into the world, [at that stage] he hasn’t begun to live at all, he doesn’t have anything to live for. Every erev Shabbat, he says sheker ha chain ve’hevel hayofi, but he doesn’t fulfill it. And there was a person who was older than all of the old people who were mentioned there [in the tale of the Seven Beggars]. Try to understand a little bit of what we’re saying. 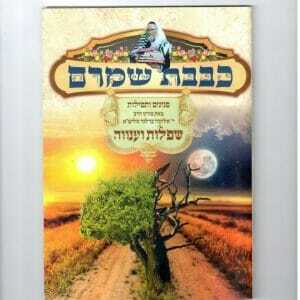 According to this you can understand that the Rebbe is the Saba De Sabin. If a person wants to be the Saba De Sabin, he needs to be totally blind, like Yitzhak was completely blind. It’s written in Tractate Shabbat that the geula (redemption) is going to be in the merit of Yitzhak. 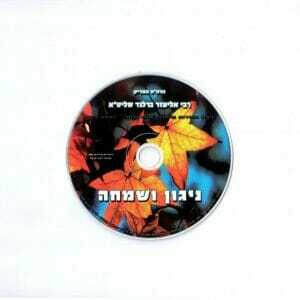 (Shabbat 89b). On account of Yitzhak Avinu, if a person wants to bring the geula, he needs to be blind. A person comes into the world to be blind. He’s born to be blind. His purpose in life is to be blind. Then, he can live for a 1,000 years, or 2,000 years! Like Batya the daughter of Pharoah, Serach bat Asher. They’ve already been alive for 3,700 years. “And he hasn’t begun to live at all”. This old one was older than all of the old people that were mentioned. The Rebbe says that there are eight elders. One of them was the Noam Elimelech. 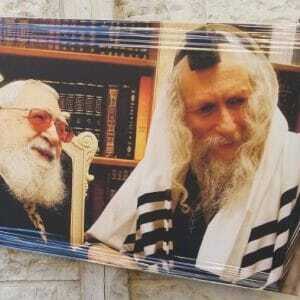 The Rebbe was the Elder of Elders, who hadn’t begun to live at all, whatsoever. He hadn’t begun to live at all. Therefore, the Rebbe said that he didn’t do anything until he knew its secret, until he knew the secret of the act he’s doing… All of the Rebbe’s actions, every action was according to a deep spiritual secret, like Yosef who was angry at his father. If he would have buried her a little way away from the road, then the owner of whatever field it was would have asked him for money. Each person had an allotment of fields. So, he buried her on the road. No-one would ask him for money, he saved himself the cost of paying for the burial. How old was Yaakov when he buried Rachel? He was 99 years old. At what age did he die? 147. So, how long is it from 99 to 147? 48. From 99 until 100 is one, and then another 47 makes 48. “Why did my father bury my mother by the side of the road?! In the middle of the road! What, he didn’t have enough money?! He was the richest person in the world! He couldn’t have bought her a nice plot, somewhere? He couldn’t have taken her on to Bet Lechem? So, what would be so terrible, if he’d taken her on to Bet Lechem? “Kivrat” (‘A stretch’) – Rashi says that this is 2,000 amot. 2,000 amot is 10 minutes, or at most, 12 minutes. 2000 amot – when he’s running, a person can cover 5km an hour, or 4km an hour if he’s walking fast. Average-paced walking is 3km, so 2,000 amot is something like a 12 minute walk. He simply didn’t care enough to take her in! [To Bet Lechem]. Yaakov said: “No, I know. Maybe, you’ll say that it was raining, or that it was snowing. There was no rain, and no snow! There was nothing, it was completely dry… The land was as dry as a bone. It was already starting to erode, because it was so dry. The air was a very drying air. It was gorgeous weather! It wasn’t too hot, and it wasn’t too cold. In Cheshvan, it’s already not too hot, and it’s a just a little bit cold. It was wonderful weather. “It would have been very easy for me, to take her to Bet Lechem, but I didn’t want to do that.” Everything was via the word of Hashem, every action the Tzaddik makes, every word the Tzaddik says, everything he thinks, it’s all according to the word of Hashem… Wherever the Tzaddik goes, it’s only according to the word of Hashem! This is haval (unfortunate)! I’m sorry that I’m telling you this, I know this is very hard to hear. But what can we do? We have to tell the truth: Moshiach is going to die. Where do we learn this? It’s written in the Rambam. The Rambam writes that Moshiach is going to die, and that his son is also going to die. The Rambam here writes that when Moshiach comes, the troubles will end. There will no longer be the subjugation of the nations, but the world will still continue to operate as it has been. Only, we’ll no longer have the subjugation of the nations. Moshiach will rule b’kipa (with strength), and wisdom will increase, as it says, as the land will become filled with daat, as the streams of water flow to the sea. And the wars will stop, as it says, that no nation will put another nation to the sword, and Moshiach…. It’s not nice to say this, but the Rebbe [Rabbi Nachman] says: Moshiach will die, and his son will die. Why does the Rebbe say that Moshiach will die? The Rambam writes that here, in the foreword to Helek, the tenth chapter, that when Moshiach comes, the world will continue to operate the same way that it always has. When Moshiach comes, there will still be a yetzer hara, everything is exactly the same. Only now, a person won’t do any aveirot d’orayta (sins that are proscribed directly from the Torah, as opposed to by Rabbinic decree) that are punished by stoning and burning. People won’t commit adultery, but there will still be big tests between a man and his wife. If the man is going to be with his wife like some sort of rooster, so he’s going to turn into a rooster! He will be a rooster. If he wants to be a human being, then he needs to be the holy of holies. The Zohar states that in the world to come, the yetzer hara will be like Rachel and Leah, and not like the daughters of Lot. The daughters of Lot committed a big sin, they thought that the world had been destroyed. But go outside and look! Go, take a little trip outside! You’ll see that the world is still standing. The Rambam says: The Moshiach will die, and his son will die. The son who rules under him, and the son of his son. After this, it’ll be the son of his son. This thing is already referred to in the Nevi’im, the prophecies, it’s already hinted to in the words of the prophets. People are going to live to a 100 years old, “for the youth aged 100 will die”. 100 years old is going to be a regular thing. Today, there’s only 100 people in the whole of Israel who have lived until 100, who passed their century. One of them was Rav Shach, and another was Rav Elyashiv, and also Bibi’s father – maybe, there were 100 people. In the whole world, maybe there’s 400 people who have lived to 100. Perhaps in Caucasia (part of the former USSR), there people will live until 140. So people will live long lives, and there won’t be any more troubles. We see it there, that the Rebbe says everything has been written. On the one hand, we see that the Rebbe is telling us new chiddushim (novel Torah ideas), but whatever the Rebbe is telling us, it’s written in some holy book. The Rebbe says things, and people think that maybe the Rebbe is exaggerating, or that maybe the Rebbe is making things up…. 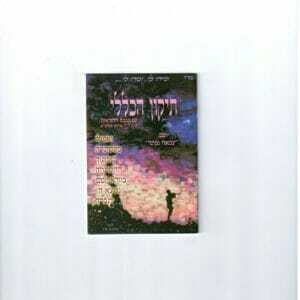 In Chayei Moharan 275 (or 35, in the old version), it says: The Moshiach is going to die, and his son is going to die. And you need to accept this with love. What can we do?! You want the Moshiach to live forever?! True, the Rambam says that everything is going to stay the same: A person is still going to need to make a lot of effort with his Torah learning. He thinks that when Moshiach comes, it’s all going to be easy. No! He’s going to have the same difficulties. Whatever is happening now, is going to be happening then, just there won’t be the burden of parnassa (making a living). But learning? Getting the intellect to really work? Removing all the veils and constricting masks from the mind? It’s going to be even more difficult to do it then, than it is today. It’s going to be even harder! There won’t be any more kefira (heresy), there won’t be any more apikorsut, people won’t be committing adultery – but they will still have to work on distancing themselves from their lusts. Otherwise, a person simply can’t learn Torah, and he can’t get away from the ‘bad’. And when he does this, then he’ll complete what’s required to be fully human. Moshiach will be the fulfillment of humanity, to be completely different from an animal. He’s not going to have even a single trace of animal nature, or of lusts. And when humanity will be completed like this, and a person will ‘leave the bad’, he’s not going to have any [external] obstacle standing in his way. There won’t be the same tests of desecrating the Shabbat, but there will still be the big challenges of getting a grip on our lusts, and this will continue until the time of techiat hameitim (the revival of the dead). At techiat hameitim, that’s when we’ll receive a new body. But we need to fight against the lusts all the time! When a person is sunk into his lusts, he can’t learn. The meaning of this is: Don’t be stuck in your materialism, and don’t be immersed in your lusts! When a person is sunk into all his lusts, he’s an animal. So, we say in Psalm 32…, at the end of the Psalm: Don’t be like a horse, or a mule, that doesn’t understand! A person should distance himself very far away from his lusts. The Psalm continues: “Don’t be like a horse, like a mule, lacking understanding and adorned with a bit and a bridle to restrain it, so it can’t approach You.” Because the behema, the animal can’t control itself, and it operates according to its gut instincts, and its reflexes. The motivation that guides the behema, the animalistic part of the body, is something external, because this animalistic nature is something external. That all the sheaves bowed down to Yosef’s sheaf. It’s not fit for a person to be like that, rather his obstacles should come from himself from within himself, which is the form of a human being. A person is made in the image of God. The form that we have received is the Divine form. [Yosef] had already broken this lust. When man receives the divine form that’s when he’ll break his lusts. When the divine form in man will be complete it will prevent him from those very things that are preventing him from reaching completeness. Today, people are greatly troubled by the need to make parnassa. A man needs to go and gather money, he has to go and do this, so it’s very hard for him to focus on his studies. But then, the parnassa will be plentiful, bread will grow on trees, and a person will be able to live just by eating the fruit alone. Everyone will have a few goats, a few sheep, and he’ll have a plentiful supply of milk. Not milk like we have today, which is really poison, everything will be completely different, already. So, this [i.e. the lusts] is what’s called the bad middot, (character traits). And Moshiach is already going to be at the peak of shleimut (completeness), and unique in such a way that there is no other completeness after him. He will be clean from all the lusts, and this will be what will propel him to bring the shleimut (completeness) [to the rest of the world], and nothing will hold him back from this completeness. Only if he wishes it, a person will achieve completeness, will achieve ‘being free from all lusts’, which is essentially the middot tovot, or good characteristics. PLEASE COME AND JOIN SHUVU BANIM AND RAV BERLAND AT THE CHANUKA GATHERING IN RISHON LETZION THIS EVENING, PART OF THE RAV’S CALL TO TRY TO SWEETEN THE STORM CLOUDS ONCE AGAIN GATHERING OVER AM YISRAEL. Entrance is free, there will be a women’s section, and the Rav is asking everyone to please make as much effort as they can to attend, and also to come to the Chanuka Prayer Gathering on Sunday night, Zot Chanuka, in Hevron. Click HERE for more details about tonight’s even in Rishon LeZion, or HERE to see more details about the Hevron prayer gathering. May we only hear good news. Referring to one of the beggar’s from Rebbe Nachman’s tale of the Seven Beggars, from the Sipurei Maasiot. From the Rambam’s preface to the laws of Halak.